Atlético de Madrid scarf, made in cotton with shield of the Atlético de Madrid F.C. and the official colors of the Madrid soccer team. 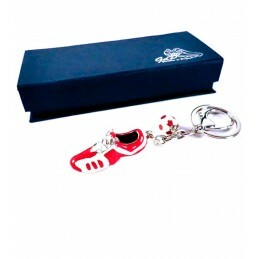 It is a licensed product from the Atlético de Madrid. IMPORTANT: As it is an article of high turnover, we can not guarantee the exact model in the picture is what we have in stock. If that happens, we will notify you before and we'll send you a photo of the model available.